For more information, visit our website at www.excelube.com. Excelube Marketing markets high quality base oils. 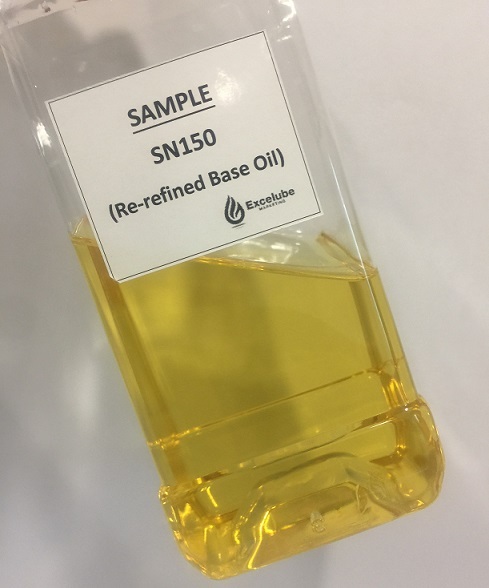 We have Base Oil SN150 from Australia which is suitable for manufacturing of high quality lubricants. Base Oils , Rubber Process Oils , Slack Wax , Paraffin Wax , Paraffin Wax Emulsion , Refrigeration Compressor Oil, Lubricants & Greases. Base Oils, Rubber Process Oils, Slack Wax, Paraffin Wax, Paraffin Wax Emulsion, Refrigeration Compressor Oil, Lubricsnts and Greases. 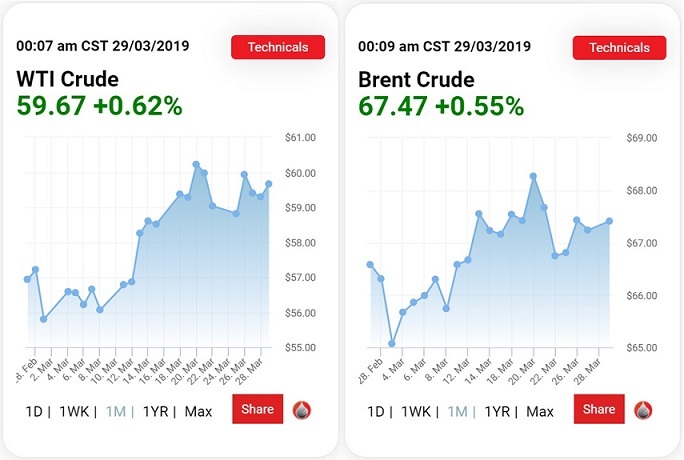 Oil price is trending upward compared to early of the month. 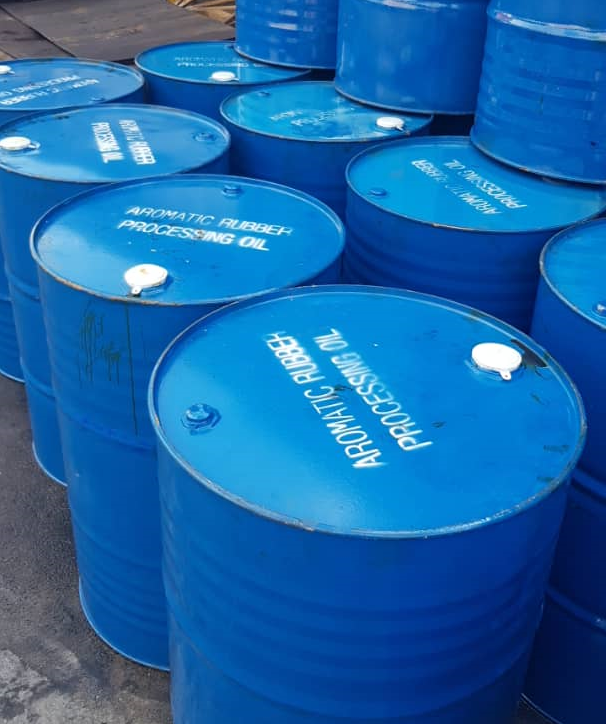 Contact us at sales@excelube.com or whatsapp +6012-392 3337 for more information on our Rubber Process Oil (RPO), Base Oils, Refrigeration Compressor Oil, Slack Wax, Micro Wax, Lubricants & Greases to receive best price offers. Excelube Marketing markets high quality Paraffin Waxes. 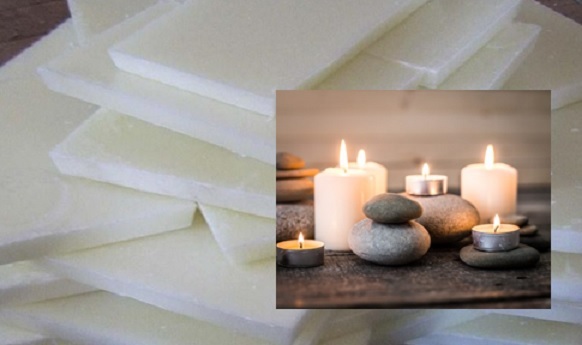 We have Fully-Refined Paraffin Wax suitable for manufacturing of high quality candles. Excelube Marketing markets high quality Refrigeration Compressor Oil excellent for ice factories, large industrial reciprocating and rotary refrigeration compressors, cold storage plants and machineries operating at sub-zero temperatures. Visit our website for other petroleum specialty products on offer www.excelube.com. Wishing all a very Happy Chinese New Year celebrations (5th - 6th February 2019) and happy holidays! In conjunction with the above, our office will be closed on 5th - 8th February 2019 (Tuesday - Friday). We will resume normal operation on 11th February 2019 (Monday). Contact us for further information at sales@excelube.com | Whatsapp: +6012 282 0537 to receive best offers. Wishing all a very Happy Thaipusam celebrations (21st January 2019)! In conjunction with the above, our office will be closed on 21st January 2019 (Monday). We will resume normal operation on 22nd January 2019 (Tuesday). 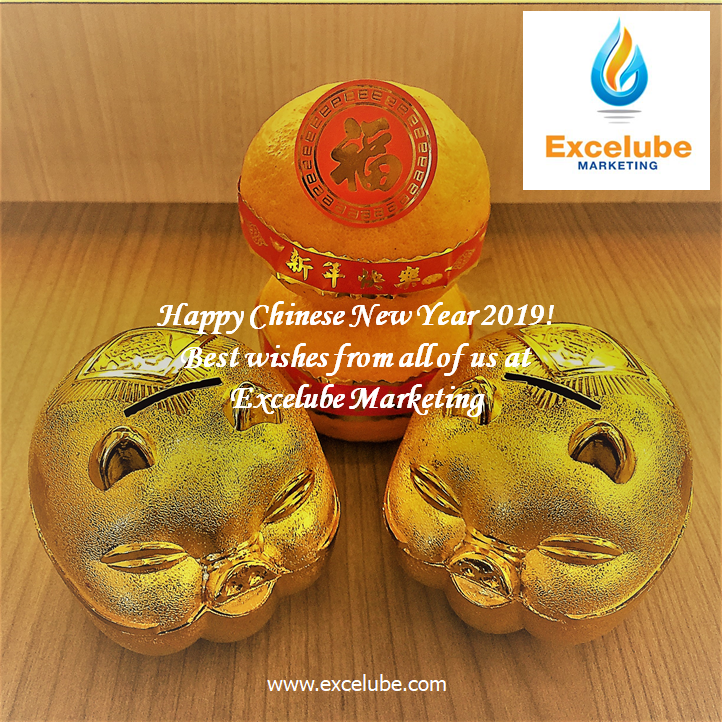 Excelube Marketing markets high quality Paraffin Waxes which are suitable for various manufacturing of consumables such as candles, torches, matches, floor polishes to industrial application for Electrical industries, cable filling compounds etc. We have Fully-Refined Paraffin Wax and Semi-Refined Paraffin Wax to suit your requirements. Oil set for biggest weekly gain in two years on growing optimism. 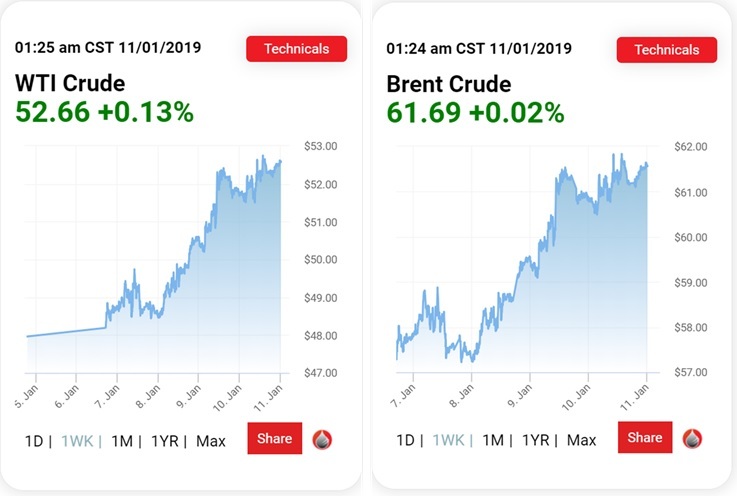 Oil headed for its biggest weekly gain in more than two years as the OPEC+ coalition’s commitment to cut output and signs the U.S. and China will be able to defuse their trade war aided sentiment. West Texas has risen 9.3 percent while Brent rose by 7.6 percent this week. Excelube markets high quality base oils. 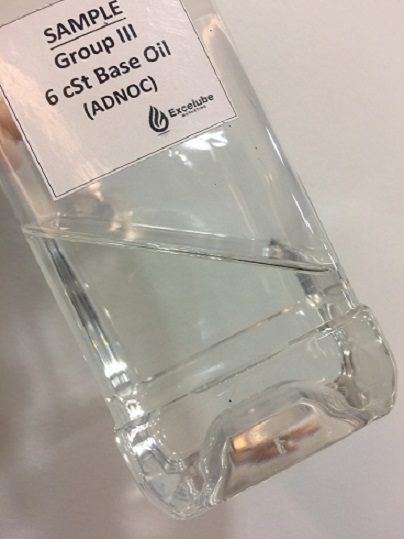 We have Group III Base Oil 6 cSt ADNOC which is suitable for manufacturing of high quality lubricants. This Group III Base Oil has has a very clear and bright appearance; making it suitable for various applications. Visit our website and access the oil specifications at Group III Base Oil 6 cSt ADNOC.